It's nice that the Edge board is here, but any ETA on the SDK and its setup guide? First, while no flames for Fritzing, about 10 gigatons of flames for your stupid captchas when logging in. It took me longer to play Mother-may-I with your system than to write this comment. Couple that with the fact that one has to be logged in to buy anything, it really has cut back the impulse buying from you guys. My reaction now when I see something interesting is to check Adafruit to see if they have it. If you must use them but don't want to chase us away permanently, use images that can actually be seen, instead of all those small blurry incomprehensible ones. End of flame. As far as Fritzing goes, I've never felt a need to use it. I'm not trying to share stuff with newbies, which is where Fritzing excels. 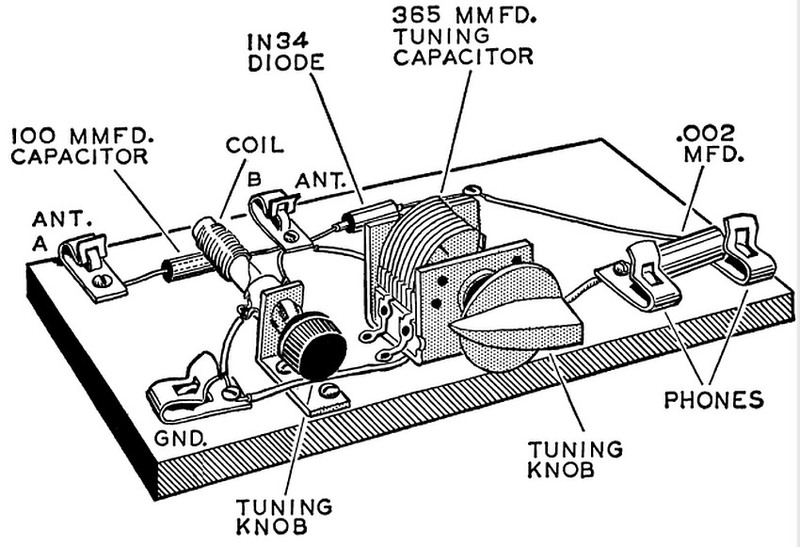 It reminds me of the old Heathkit pictorials, the illustrations in the old Radio Shack manuals and the beautiful illustrations in the Alfred Morgan Boy's Book of Radio and Electronics series (great stuff in there for girls, too, BTW), just updated for screen display. Personally, I feel as if I've outgrown pictorials and prefer schematics, unless the pictorial is communicating some strange or potentially confusing mechanical data. But that's a personal preference, nothing against Fritzing. My main gripe against it is the name. As part of the ham community, this product doesn't make sense to me at this price point. For the same amount of money, I can get equivalent frequency coverage with a traditional radio with much higher output power. Or I can get the same power output and frequency coverage for much less money. It seems that I'd be paying a large premium for the chance to play with SDR, but there are lower cost low-power options to do that (not going to put ads for the competition here, but they're out there). As far as the expensive accessories it's supposed to replace, I already have those or don't want/need them. I have no reason to doubt that this is a well engineered product that does what it's supposed to and that the cost is justified by the parts and labor, but I don't know if there's actually a place in the market for it. "...along with basics like layout and component orientation." I find it best not to get involved with component orientation. It's really none of my business whether pins like sockets or other pins, or if sockets like sockets and so on. Nor can I be judgemental about what a component truly is. After all, a device in a TO-3 package can just as easily self-identify as a transistor (PNP or NPN), SCR or a voltage regulator. It's my job to accept it for what it is, respect its operating conditions and help it to be a valued component in my projects. Necessity is the mother of invention and the source of much inspiration. In my case, it was not missing my stop on the commuter train. At least once a month I see someone sleep through their stop resulting in a 2-hour delay in their getting to where they need to go. if it's really obvious what their stop is, I will wake them up, but many times it's not. For myself, I realized that I needed an alarm clock that would wake me up when I was within 2 miles of my stations. Time is useless since the train rarely hits on schedule. If it's early, I'd miss my stop. If it's late, I'd miss potential nap time (important at 6:30 am). So I built a GPS-based alarm that detects when the train is within 2 miles of 2 specific stations and sounds an alarm in my earphones. Now I can fall asleep while riding and still wake up in time to catch my stop. And the 1.25 mile walk from the station to work wakes me up and energizes me after my nap. The only downside was when I took the breadboard prototype onboard for testing and a couple of conductors thought it was a bomb (it's got parts, wires and batteries - IT'S A BOMB!!!! ), but that's another story. So how long did it take? What time was it rolling on the floor? 6:45 seems reasonable to me. I can't get in that early because my train doesn't arrive until 7:15. then it's a 20-minute walk from the station. That's still earlier than most here, though. The big problem with getting in early is leaving early. All the gang that arrives after 10 starts acting as if you're deserting them (ever try to duck out to catch your ride home to a chorus of "You Picked a Fine Time to Leave Me, Lucille"?). Funny piece of trivia - I was watching this with sound off and CC on. Sparkfun was rendered as "bark fun". Guess they've visited your facility. In the meantime, any chance of an episode that shows how to convert IMU data to reliable measurements? Or to get clean reliable positions from the Bosch devices? I have yet to find a device that doesn't vary all over the place, even sitting on a table inside a house on a concrete foundation. A final request - the devices with magnetic sensors all want me to wave them around in some specific pattern to calibrate them, but the pattern is so ambiguously described that I'm never sure if I've done it right. A quick demo in a video would be helpful. Nice post (as usual), but I'm really happy to see it done as text & graphics instead of a video. Much faster delivery of info, no audio needed, easier to use as a reference and easier to peruse at work. Thanks. But I'd much rather program this in C++ than python. Is there some kind of option for that? Nice talk, good explanation. Reminds me of the first time I heard it in high school. Back then, Ma Bell was still the one and only phone company and Bell Labs was the premier corporate engineering research facility in the nation, if not the world (I know, IBM would disagree). Anyway, BL made a series of science exploration kits that they would send to high school science teachers who would hand them out to students. Each kit contained a manual and parts, sort of like the SIK. The manual would explain the basic science, describe how to build the experimental gear and then suggested experiments to run with it. My kit was the solar cell kit. In addition to an explanation much like Pete's, there was an electric heating coil, a silicon crystal wafer, several vials of chemicals, tools, wire and solder. You added your own refractory bricks (to make an electric furnace), safety goggles, gloves and soldering iron. Then you followed the instructions to make 3 solar cells from scratch (break the wafer, dope it by applying the chemicals and baking in the furnace, plate attachment points onto it and solder on the leads. Can you imagine the reaction today to handing this stuff to a 16 year-old? Toxic materials, 800-degree+ plus furnace?